Sadly Dems think the GOP can not just overturn Obamacare. They are far too naive. These are smart Republicans. They will repeal the ACA under provisions that take force over a long enough time to achieve their model and serve their electoral interests in 2018. 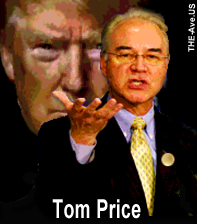 I expect proposals built very much on the lines put forward by the new Sec of HHS, Tom Price. This will include block grants (giving gerrymandered governors great power), national exchanges (something Obama wanted but also something that means the Rs will get huge money from the emerging national health chains), a tax (called a limit) of employer health benefits above a certain limit … a yuge blow against unions). It is important remember that before running for Congress, Price was an orthopedic surgeon, a very remunerative specialty of the kind favored by the AMA. He ran an orthopedic clinic in Atlanta for 20 years. A big force behind Price will be the AMA. The Dems never think about the AMA as if it were a union. Of course it is, but it is a Republican union. 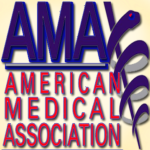 The AMA has already endorsed Price, praising his efforts to reduce regulations. LOUISVILLE, Ky. (AP) – Senate Majority Leader Mitch McConnell said Saturday that some 20 million Americans who have health care through the six-year-old law will not lose coverage, though the likely upheaval in the insurance industry suggests many could. The GOP senator cautioned patience from the law’s critics as Republicans create an alternative. A dramatic and populist way the GOP could strengthen the AMA will be by addressing the issue of the cost of medical school education. Price can do this in a way that creates more AMA (AMERICAN) docs while tightening the requirements for foreign MDs. One way to do this would be by cloning the Dem idea of free public college. The new HHS head can do this by offering payback scholarships that offset the monstrous costs of medical school tuition while fostering the development of more abbreviated, less rigorous medical school curricula like those already underway in Texas or in our own state college. The result? weakening the political clout of the largely liberal academic medicine establishment. Another Price idea: In 2011 he introduced a bill that would prohibit a state or federal law from making a doctor participate in a health plan to get a license.